At Promotion Pros, we believe in giving you tons of options for outfitting your company with brand-specific products, which is why our custom mouse pads are so awesome. Take a look at our huge range of personalized mouse pads and you'll be impressed too. Our supply includes a wide range of colors and styles as well. Our leather mouse pads are perfect to use in the office or to pass out to loyal customers. 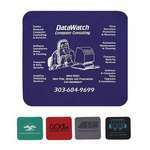 Our hard surface mousepad is lightweight and serves as a vibrant canvas for your business logo or image! Show off your logo on this picture frame mousepad. This pad will become a personal keepsake on your employees' or client's workstation for years to come! Show off your logo on this multi-purpose mousepad that displays your business message or a photo for years to come! Not just a mousepad, this MousePaper 24 Page - Recycled Paper Mouse Pad doubles as a note pad with each page displaying your business name or other message. Not just a mousepad, this MousePaper Calendar 12 Month Paper Mouse Pad doubles as a note pad with each page displaying your business name or other message. 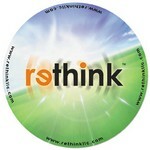 Show off your logo on this antimicrobial mousepad, made for your employees' or client's workstation, for years to come!